This beautiful area of parkland has many very old trees, some of which are estimated to be over 700 years old and which support numerous interesting lichens and insects. 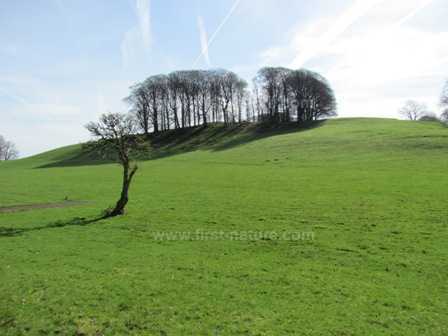 Already a SSSI, Dinefwr was designated as a National Nature Reserve in 2007, and it is the only area of parkland to receive such a designation in Wales. The house, castle ruins and park belong to the National Trust and are managed by them in partnership with the Wildlife Trust of South and West Wales (WTSWW). Dinefwr is situated in Llandeilo, which can be reached from the M4 Motorway Junction 49 (Pont Abraham Services) by following the A483 north to Landeilo. Alternatively take the A40 eastwards from Carmarthen (signed to Llandeilo) and then follow signs to Landeilo. Once you leave the A40 proceed up the hill towards Llandeilo, and Dinefwr can be found on the right hand-side of the road just before you enter the town. Entry for National Trust members is free of charge, but other day visitors pay (in 2011 the fees were £6.70 per adult, £3.35 per child). Family and group rates are also available. Paths are generally easy going and there is one special walk which easily accommodates wheelchair users and people with prams and pushchairs. The reserve has Information Boards, and leaflets are available at the Visitor Centre. There are public toilets at the Visitor Centre, plenty of car parking, and in the main season a kiosk selling drinks and ice creams operates in the car park. 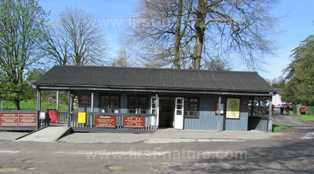 There is also a tea room which is a short walk from the car park. 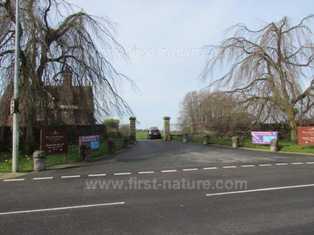 The park is open access (unless otherwise indicated), but there is a maarked 4.5km (3 mile) walk that gives an excellent flavour of the Park in general and guides you through some of the best places to see the wealth of wildlife that lives there. Maps of the walk and the rest of the Park are available at the Visitor Centre. Dinefwr has something to offer its visitors all year round; from the early spring flowers right through until the fungi appear in autumn there is always something interesting to see and enjoy. In the various areas of woodland with in the Park there are more than 300 trees that are over 400 years old. Within the parkland all three of the native British woodpeckers live, and the Twyi Valley where the park is situated is a well-known area for seeing numerous bird species, especially summer visitors such as Redstarts (Phoenicurus phoenicurus) and Pied Flycatchers (Ficedula hypoleuca). Nuthatches (Sitta europaea) and Tree Creepers (Certhia familiaris) also live in the woods along with a nesting colony of Tree Sparrows (Passer montanus) - a species that is in steep decline throughout the UK. Tree Sparrows can be distinguished from House Sparrows by the chestnut crown which both males and females have, and also by black cheek-spots. Before we leave the woods, it is important to say that the very old trees found there, along with various old buildings on the site, play a vital role in the lives of bats and insects, particularly beetles. Four special kinds of insect seen at Dinefwr are Rove Beetles (Staphylinidae spp. ), the Darkling Beetle (Tenebrio molitor), False Darkling Beetles (Melandryidae spp.) and Bark Beetles (Scolytidae spp.). Several kinds of bats live in the area, and Long-eared Bats (Plecotus auritus) roost in the roof-space of Newton House, within the reserve. It is not just the veteran trees that provide excellent homes for insects and beetles, but the fact that deadwood is left on the ground throughout the Park. More than 25 kinds of nationally scarce insects have been recorded at Dinefwr. Decaying timber is also excellent for fungi, and autumn is one of our favourite times to visit. 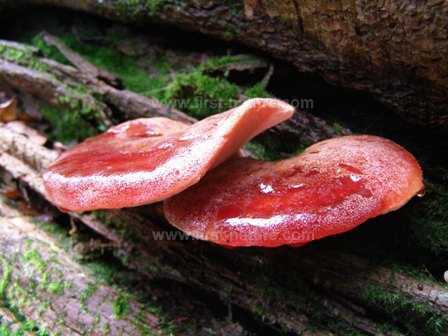 The oak trees are home to a number of bracket fungi, including the Beefsteak fungus (Fistulina hepatica). We have also found many beautiful grassland fungi in the park including Entoloma (Pinkgills) and Hygrocybe (Waxcap) species. Many birds of prey have been recorded in the Twyi Valley including, of course, both the Red Kite (Milvus milvus) and Buzzard (Buteo buteo) of which we are fortunate to have so many in this part of Wales. Peregrine Falcons (Falco peregrinus) often hunt through the valley, and Hobbies (Falco subbuteo) have also been recorded there along with Kestrels (Falco tinnunculus) and Sparrowhawks (Accipiter nisus). The lakes in the Park are an important wintering ground for wildfowl. Common Teal (Anas crecca), Wigeon (Anas penelope) and Tufted Ducks (Aythya fuligula) are regularly spotted there. The pastureland at Dinefwr is also excellent for insects, and in turn good for the birds that feed on them. Among the particular features of interest are the Yellow Meadow Ant (Lasius flavus) mounds, which are a favourite hunting place for the Green Woodpeckers (Picus viridis) that live there and are not often seen elsewhere in Southwest Wales. Even the cattle that graze the pastures at Dinefwr are special! The Dinefwr Herd is the oldest herd of domesticated White Cattle in Britain. Welsh White Cattle existed in Wales long before Roman times, and are believed to have been used by the Druids as sacrificial animals. The deer herd is also part of the heritage of Dinefwr, and all three colours of fallow deer (Dama dama) can be seen - Menii (spotted), Melanistic (black) and brown are all represented. The Deer bring us to the lichen, because it is in the Deer Park where the trees most suitable as hosts to lichen are located. There is a particularly good representation of Tree Lungwort (Lobarion pulmonariae) on the oak trees. This lichen needs mature trees and is also very sensitive to air pollution. 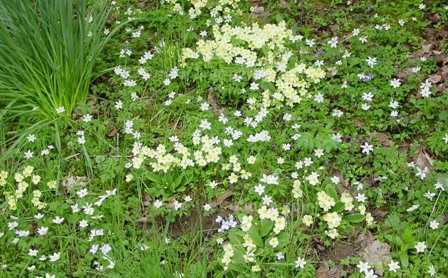 It is becoming increasingly scarce in the UK due to poor air quality and also loss of its habitat.